Interested in this community? Contact our team for more information. 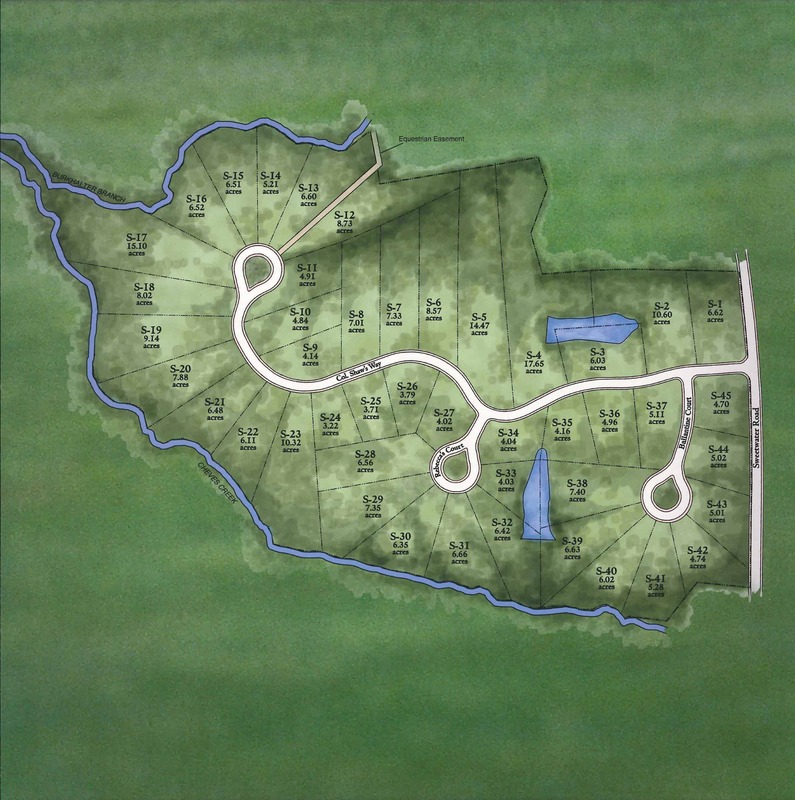 This large track community features 45 tracts of land that range from 3 to 17 acres. Shaw Estates is the perfect combination of wide open spaces and local conveniences just 7 miles away. This heavily wooded 325 acres of rolling hills is home to a rich blend of hardwoods and pines whose canopy give way to estates that feel like you’ve plucked yourself from the world right into your own escape. If you’ve imagined an estate with a beautiful barn and horses or a custom home with complete privacy in a community still compact enough for children to ride their bike “next door”, Shaw Estates is the place.